Step 4: Where Do I Find a Katana For Sale? I know what I want now where do I find a high quality katana for sale? Now that I have shared my words of wisdom on finding the right sword, where did I find the best prices when searching the web for a katana for sale? Well I bought from a few places and had various results. Once I know what sword I want, I browse the various merchants to see the reviews but always go back to the same merchant to purchase. The sites I have had great experience with are Swords of the East and Swords of Northshire. A ton of choices and the quality has been outstanding. Wait, I thought this page was for katana reviews? I know I know but I don’t want to tell you where to find a katana for sale without letting you know the ups and downs of the places you may buy from. The site where I bought my first ‘quality’ blade was Swords of the East, a great site where the owners place great emphasis in making their swords more affordable than other competitors. You may find a katana for sale here that is a few hundred dollars less expensive than you’d find at all the other retailers. Competitive prices, I’m all about high quality after my previous experiences but hey I also don’t want to give up an arm and a leg to get something. You can browse swords by forge, steel, and price. Helps me get more specific. If you’re into other swords (Tantos, Wakizashi, or even Medieval) they’ve got them too. Not to mention training weapons as well. What don’t I care for about Swords of the East, well the only thing I’d say is there are a lot to choose from which may become overwhelming for some. If I’m faced with a lot of options my brain can go into overload, hence why I made this site to help prevent you from this fate as well. They do have quite a few cheaper katanas for sale (don’t fall for the same mistake I did my first time buying). I just avoid these and usually set my price filters to $500+. Not saying everything that is over $500 will be exceptional quality but it does help filter out the ‘novelty’ style swords. As you set off on your journey to find the sword that best fits you, you may find something that is more aligned with your personal preferences. The site is setup very similar to Swords of the East which makes it nice going back and forth between the two while looking for the perfect katana for sale. Both specialize in asian swords (Chinese, Japanese, etc.) however they both offer some other forms of swords as well. They work with a forgery in Longquan China to create custom handmade high quality katanas from the ground up. Swords of Northshire is a little bit more pricey than Swords of the East however their selection is more unique as well. You’ll find a lot of custom made and hand forged blades at Swords of Northshire that are produced exclusively for their company. Something that is amazing with them is they offer the ability to create your own custom katana. You can chose the blade, fittings, color, right down to the saya. You can have your name engraved on it, have kanji, or even a design of your choice (see image below as an example), an amazing perk allowing consumers to have a one of a kind katana at a reasonable price. Also a major perk to those living in America is that the owner of the business is based out of Texas, USA which eliminates the issue of waiting for excessive delivery times, miscommunication through language barriers, or difficulty in matching up their business hours with time your free if you have questions. I actually used their chat function to track the progress of my swords which made it pretty simple. Overall this merchant is my favorite and I will continue to purchase from them, especially when looking for a more unique katana for sale. To be honest this really isn’t the best Swords of Northshire review because usually in reviews you mention the pros and cons and I can’t think of any downsides with Swords of Northshire to date and highly recommend buying a katana through them. Unfortunately I can’t give a full review of this katana dealer since I haven’t interacted with them yet. I wanted to list them though since I see they are a forgery gaining momentum in the handmade katana realm. Their prices seem pretty reasonable though their selection is somewhat limited, at least as of now. They are also based out of the katana capital of the East, Longquan China, where they claim to have over 40 years of family experience forging swords both Japanese and Chinese. Looking through their site they appear to split their swords into four categories which also appear to correspond to pricing differences and skill levels. The reviews I am seeing on their site though all look to be 5 out of 5 star so those who have purchased appear to be very satisfied. 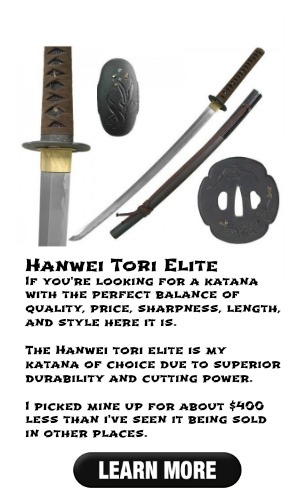 Due to the nature of this site reviewing katanas, I was able to get a special coupon for them that works with ‘browse their swords’ button below. Click the button then enter ‘15off‘ once you’re ready to checkout if you find a katana for sale there that you like. The combination of the link below and the code will give you an extra $15 off, not much but every little bit counts. They’re definitely a dealer I’ll keep an eye on. Another new dealer I’m noticing offering unique katanas for sale yet haven’t bought from yet is Katanaforsale.com. They appear to offer katanas, wakizashis, samurai armor, and tantos. I haven’t been able to find much information on them around the web yet have seen them showing up in search results lately. If anyone has any experience with them feel free to let us know on our forum. I’ll be keeping an eye on the web to see what other consumers are saying about them to ensure their quality upholds to be worthy of being on this review site. This site very closely resembles that of KatanaforSale so I’m assuming they are either related or are using the same web design company. They showcase a custom made swords with some extremely nice looking sayas, some made from buffalo horn. My words of wisdom: Get. What. You. Want. Keep in mind that my advice and reviews here on what I (and my buddies) have for katanas and our opinions on them are just to help give you some insights around what’s available out there and happened to work for us. Talking with a sensei is truly the best way to determine what you will need. 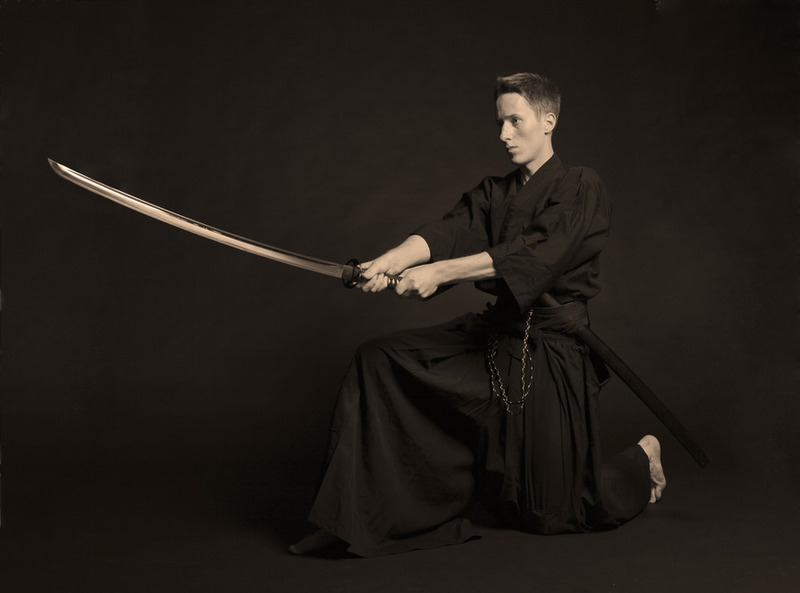 Finding the best katana that aligns with your style can be tough and I hope these past few steps of the Katana Readiness Guide have helped you narrow the options down a little. Whatever you end up with is your decision but make sure you do buy it through a solid merchant. Now on to the final stage of the readiness guide, where to find a dojo.